Kristen is the founder of Hope for Roma and lives on the property of Hope for Roma in Rankovce. Kristen has a Masters Degree in Biblical Studies and a Bachelors Degree in Art and Education. A United States citizen, she has lived in Europe (Austria and Slovakia) since 1991. 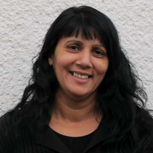 She taught in schools and worked in churches until founding Hope for Roma in 2011. Jana Borosova is the director of Hope for Roma. 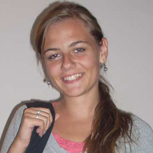 She is currently finishing a Masters Degree in Economics in Kosice. She handles all business affairs for the organization. Monika is the assistant to Kristen in the ladies’ handcraft program, Roma Rebrik. She lives in a nearby Roma village and is highly gifted in sewing and handwork. She helps in training the Roma ladies. Jana and Roman Chovanec live in a nearby village. Roman has a Masters Degree in Geography, has his own business and is mayor of his village. 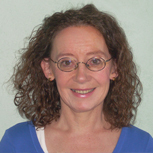 Jana has a PhD in Environmental Management and teaches at the University of Presov. Jana and Roman act in an advisory role and provide a great amount of practical help. They have one son Samko.